A rare coffee or low table designed by Jan Den Drijver for his shop “Wooninrichting De Stijl” in Den Haag, The Netherlands. 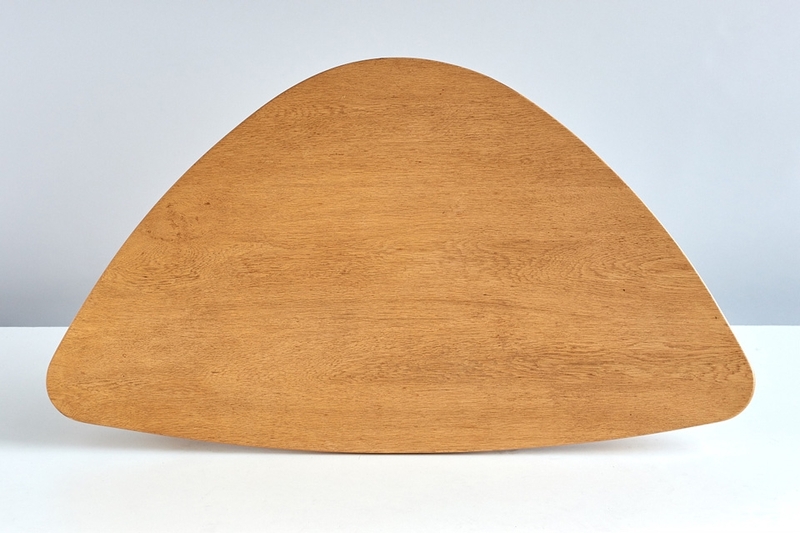 This oak table has an organically shaped top and remarkable curved legs, giving the table a sculptural quality, slightly reminiscent of the work of Vladimir Kagan. This unusual mid century modern piece is in a very good condition.